Download Boundaries in Marriage for just $1.99 today. Please remember prices may change. Only when you and your mate know and respect each other’s needs, choices, and freedom can you give yourselves freely and lovingly to one another. Boundaries in Marriage gives you the tools you need. Drs. 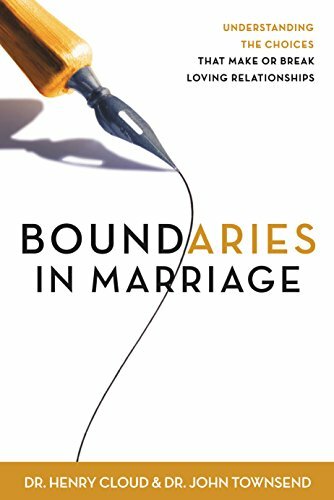 Henry Cloud and John Townsend, counselors and authors of the award-winning bestseller Boundaries, show you how to apply the principles of boundaries to your marriage. This book helps you understand the friction points or serious hurts and betrayals in your marriage — and move beyond them to the mutual care, respect, affirmation, and intimacy you both long for.